mulched play areas throughout the park. March is known to many for the incessant amount of college basketball available on television, but for members of the Auburn Rotary Club, March is the time Rotarians gather at Auburn Parks and Recreation's Hickory Dickory Park to remulch the park's play areas and perform other service projects. "March Mulch Madness" is just one of the many community service initiatives of the club, which is the chartering organization for Troop 50. 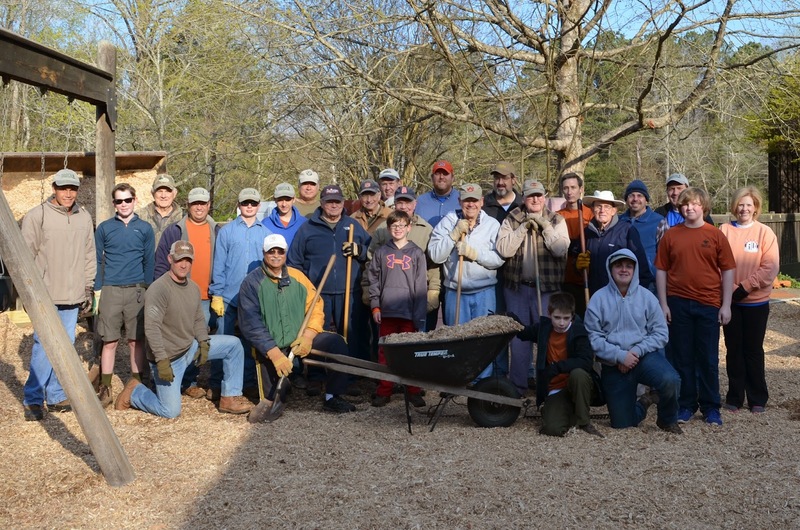 In all, more than 30 Rotarians and Troop 50 members gathered at the park on Saturday, March 28 at 7 a.m. to not only remulch the grounds, but to re-waterproof the wooden portions of the multi-level play structure. and Rotarians who arrived at the park in the early hours of Saturday morning. 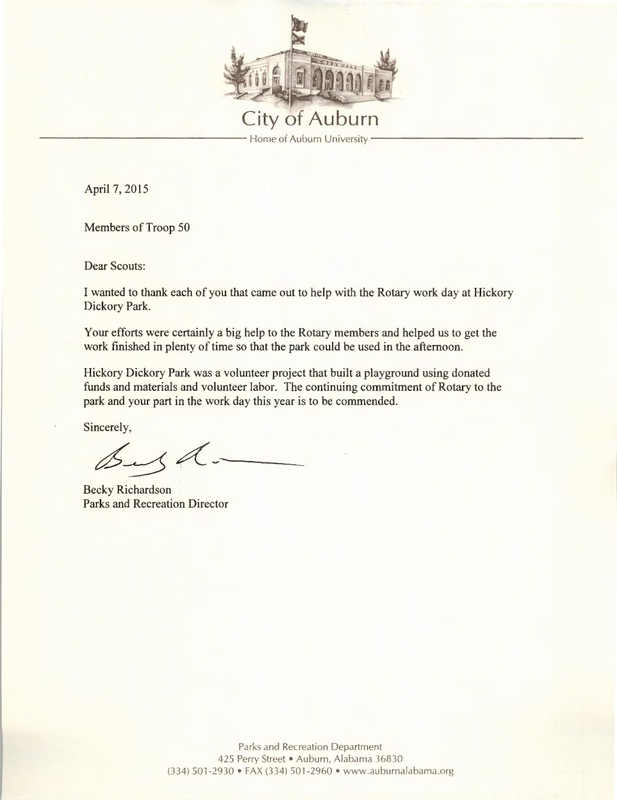 The only park featuring its type of expansive play structure in Auburn, Hickory Dickory Park is located at the end of Hickory Lane and was renamed from Hickory Lane Park in 1999 when the city and community volunteers constructed the current playground. By the time the group completed the project, the troop's 15 Scouts, leaders, families and friends who attended collectively logged 52 hours of community service, thereby continuing to fulfill the portions of the troop's mission that address growing its members into servant leaders and going into the community in service and fellowship. Becky Richardson, who is also a member of the Auburn Rotary Club. For more photos from the service project, visit the troop's online photo album.